Jaycees Networking Mixers are held on the first Tuesday of the month from 5:30 to 7:00 p.m. at different locations around New Braunfels. We'll talk a little business and recognize our new members, but mostly we're just there to meet and mingle. 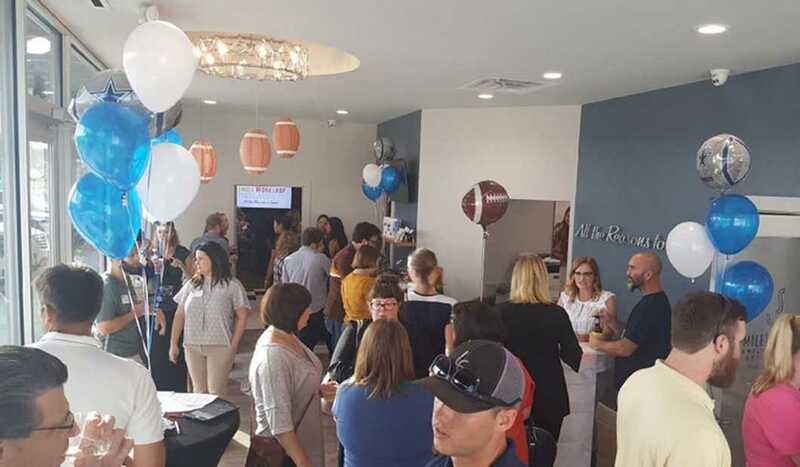 This is a great way to make new connections and get involved with New Braunfels' young professionals. You do not have to be a member to attend! Everyone is invited so bring a friend or coworker! Appetizers will be provided. Questions? Email Jenna@InNewBraunfels.com. Follow the Jaycees on Facebook for up-to-date information and news. The Jaycees are New Braunfels’ young professionals organization offering networking, volunteer, leadership development, community engagement, philanthropy, and professional development opportunities to our community’s next generation of leaders.